Simple to do - no music or drama experience needed! Queen Bee's announcement has the whole hive reeling: she's outta there! To take the sting out of her sudden flight, she's brought in consultants to help the hive decide on a new governmental model. 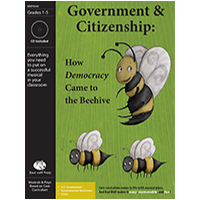 Though terrified at first, our clever bees soon embrace the challenge and delve into the wonders of representative democracy. Please scroll down to read the script, listen to the songs, read reviews, and get all the details about the play (plot, curriculum/content, educational standards, and vocabulary). Order 1 copy of play for each teacher/director who will be using it. Includes permission to print/photocopy for all participating actors. Mix and match 2 or more plays to get them for $35 each. Order 1 site license per school/site. Includes permission to print/photocopy for all participating students AND teachers. Why a site license? Because it's cheaper than ordering 3+ individual copies of the play. 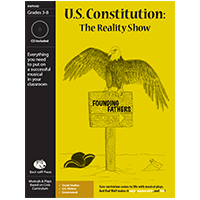 Government & Citizenship is a great complement to your curriculum resources in social studies. And, like all of our plays, this show can be used to improve reading, vocabulary, reading comprehension, performance and music skills, class camaraderie and teamwork, and numerous social skills that they are learning about in the play itself (read about it!) -- all while enabling students to be part of a truly fun and creative experience they will never forget! Flexible casting from 11-40 students. Use as many Bees, Attendants, Squirrels, etc. in each scene as desired. One student can easily play several roles if needed, and individual roles can be doubled up. Note that roles can be played by either boys or girls; see our comments in the Teacher's Guide. and a CHORUS composed of all students who are not playing roles on stage at the time. BEE #1: She's coming, she's coming! BEE #2: Hurry, hurry -- get the hive ready! Song 1 - Listen to a clip now! You may prefer a prince, but they are such a fuss! And a princess is a princess, if you get my drift. But we're content with having just one head of state. We're here to celebrate her Yay! ATTENDANT #1 (announcing): Her Honorable Majesty, the Queen Bee! ATTENDANT #2: Attention. The Queen has a very special message. QUEEN: My fellow bees. It has been my great privilege to have you serve me. But I come here today to announce my retirement. BEE #4: Can she do that? BEE #5: What will we do? QUEEN (putting out her hands, calming down her subjects): Please, calm down. Î™ know this may sting a bit. But I've devoted my life to you -- now it's time for me to find myself. ATTENDANT #1: She lays 1000 eggs a day. It's exhausting. ATTENDANT #2: And she NEVER gets out of the hive. BEE #6: But who will be our Queen? QUEEN: You know, you've always had a queen. Maybe you should try something different. BEE #7: Something different? Like making chocolate syrup instead of honey? BEE #8: Oh, man, I LOVE chocolate syrup. QUEEN: No. I mean like a different form of government. Something besides a monarchy. BEE #9: There's something besides a monarchy? ATTENDANT #1: Sure. We just have to decide how we want to organize the hive. ATTENDANT #2: Yeah! Who do we want to make the rules? QUEEN: Exactly! It's up to you to decide! Song 2 - Listen to a clip now! Who puts their hands on the governmental tools? BONNIE BEE: How 'bout me? BILLY BEE: How 'bout me?! CHORUS: Do you think that we are fools? You wouldn't have to vote or think or have a point of view. The people vote on everything and nothing much gets done. A constitution cuts the regal powers down to size. They cut a lot of ribbons and they own a lot of land. QUEEN: As my last act as your queen, I will create a committee to explore the different possibilities of government for the hive. When you have come to your decision, you will need to get the final word from the Great Guru. BETTY BEE (jumping up and down, raising her hand): Ooh, ooh, pick me, pick me for the committee! I have a LOT of ideas. ATTENDANT #1 (to QUEEN): That's Betty Bee, Your Highness. She has, ahem, a LOT of ideas. A LOT. BETTY BEE: Like, what if we take every wild and crazy political idea we can think of and try them out one at a time? QUEEN: That's been done, my dear. It's called Berkeley. I was thinking of Bonnie Bee and Billy Bee, since they have always wanted to have positions of leadership. BETTY BEE: You could choose me too! I really want to help! QUEEN (to ATTENDANTS): What do you think? Should we add a bee? ATTENDANT #2: Two bees or not two bees -- that is the question. QUEEN: Very well. Bonnie, Billy, and Betty -- you are the committee to form a new kind of government for our little state. Good luck! I'm off to Miami Beach. BONNIE: I think I should be chairman of the committee. BILLY: Who said there was a chairman? But if we do have one, it should be me. I'm the oldest. BETTY: Why don't we go by colors? BONNIE: Colors? We're bees, Betty. We're all yellow and black. BETTY (gazing off into the distance): I meant the colors in our hearts. BILLY (trying to move on): Uh, yeah, well, let's just try to get started. To be honest, none of the government options sounded all that good. SPENCER SPIDER (entering with SPALDING SPIDER): Oh, you don't want a dictator. BILLY: Well if it isn't the Spider brothers. SPALDING: We heard the queen told you all to buzz off. SPENCER: Yeah, you bees just keep droning on and on about it. BILLY: It's a big change for us, but we're moving forward. BETTY: And staying positive! We're going to invent a new form of government -- maybe something based on types of fruit. SPALDING: Fruit? No. You don't need to invent anything new. And you don't want another queen or a king or a dictator. SPENCER (shaking his head): Naaah. What you want is a democracy. BILLY: But we have too many bees and we're too busy flying around collecting pollen. If every one of us had to vote for everything, we'd never get anything else done. SPALDING: You're right. But we're not talking about a direct democracy, which is also called a radical democracy. SPALDING and SPENCER: They're all dead! SPALDING: What you need is a representative democracy. SPALDING and SPENCER: Oh, it is! Song 3 - Listen to a clip now! And the senators and congressmen all work in harmony. And ballot measures no one understands. SPALDING (spoken): But you get to vote anyway! The Beehive is a Winner! Another wonderful musical from Bad Wolf Press - perfect for third grade! Dramatic device of bees needing to choose a new form of government for their hive enables the other characters (e.g., spiders, owls, branches) to teach the audience while teaching the bees. 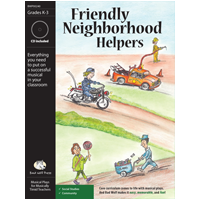 Clever script contains many teaching opportunities (e.g., word play, academic/content vocabulary) and humor appeals to audiences of all ages, from "here's the buzz" for kindergarteners to "that's been tried --- it's called Berkeley" for their parents. Ensemble format gives every student their moment in the spotlight. You can't go wrong with The Beehive! Songs are very catchy. Dialogue is easy to follow. Humor crosses generations. Easy to use. Easy to create costumes and stage. "We interrupt this program for one more important announcement. Our class wanted to end this production with a big bear coming in and eating the hive. But Mrs. Wilson said, “NO”. So then we suggested the queen sending a post card saying she’d changed her mind. The bees would keep their monarchy. Finally we thought we should have a cardboard cut out of Donald Trump. Joey wanted the bees to sting him. So instead we are ending our production with the way it was written. With a song about citizenship. You see, government exists of the people, for the people and by the people. That’s you and me… citizens. So sit back and enjoy our last number, Good Citizens!" How does your pricing and licensing work? 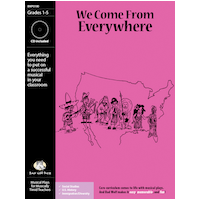 A: In short: each teacher/director using the play should have a copy of it. That's it! Your purchase gives you the right to use the play with as many classes as you wish, to photocopy the script for your actors, and to put on as many performances as you wish. This one-time purchase gives you a lifetime license. See below for more information on site licenses (for 3+ teachers or whole schools). Q: What comes in the package? A: Every musical play comes with the script and a 12-page Teacher's Guide that provides lots of tips and advice for using the play from start to finish. It also includes the audio recording for the play, which has all the songs both WITH and WITHOUT vocals. Sheet music is NOT included with the basic package, but it is available for $12. Extra/replacement CDs are also available for $12. Every non-musical play comes with the script and the 12-page Teacher's Guide. Q: I'm just one teacher putting on a play. If I use the play with multiple classes, do I have to purchase multiple licenses? A: No! Your purchase gives you a lifetime license to be used with as many actors and classes as you wish. If other teachers/directors wish to use the play as well, they will need to purchase their own licenses. Q: Do I need to purchase scripts for students? A: No! Your purchase includes permission to photocopy the script for your actors. Q: What is a "site license"? How do I know if I need one? A site license is the economical choice when a whole school or grade level wants to put on the same play. Instead of each teacher/director having to purchase a script, the school/site can purchase a site license. This comes with three copies of the play (or one digital download) and permission to make copies for any additional participating teachers, as well as all the actors. You do NOT need to purchase both a site license and individual copies of the play; just buy one or the other. Q: I understand that I can get two or more scripts for $35 each. Do they have to be the same play? Nope! The discount applies whether you are purchasing multiple copies of the same show or single copies of multiple shows. Q: What is the difference between the printed and digital versions? Which one should I get? There is no difference in terms of content. The printed version of a musical play comes with an audio CD in a plastic sleeve in the back of the book. The digital version comes with two downloadable files: the script (PDF format) and the songs (individual MP3 files compressed in ZIP format). The advantage of the digital version is that you will not pay shipping and you can start using it instantly. Please read the question following this one about the technical requirements for digital files. Non-musical plays are available in the form of a printed book or a PDF file. Q: What are the technical requirements for the digital version? You will need to have Adobe Reader (free) or another software application that can open PDF files. You will need to be able to open ZIP files. The vast majority of computers should be able to do this without difficulty. If you wish to download the music directly to your phone or tablet, you will need to download an app that will open ZIP files. Many free ones are available. You will need to have some kind of audio player (such as iTunes or Windows Media Player) that will play MP3 files. Advanced technical knowledge is not required; but please note that we do not have the ability to offer technical support for issues related to digital files. If you are unsure, it is probably best to stick with the printed version. A: Bad Wolf proudly offers a 100% guarantee. You can always exchange a product for another or get a full refund. No time limits, no questions. Q: Is it OK if I edit the script? A: We say that you should allow for one week within the U.S., but most orders are shipped the same day and arrive 1-3 days later. International orders usually take around two weeks to arrive. Q: Do I need to pay any performance royalties? A: As long as your admission price is less than $5 per ticket, you never need to pay performance royalties with a Bad Wolf show. If you decide to charge more than $5 a ticket, or if you are using one of our plays for a PAID workshop, camp, assembly, etc., pay only a low 1-2% royalty on gross revenues. See our royalty page to view the rates and pay.